A truly enjoyable sport and something that is excellent for physical development, energy levels, and a fun way to socialise, tennis is something that people of all ages love and enjoy. One excellent thing about tennis is that it can be started, played, and continued at any stage of all. There are tennis coaches in Singapore who can cater lessons to young children, teenagers, and adults who want to learn or reconnect with the sport. Finding a tennis coach may seem easy enough, but a simple Google search will show you that there are endless tennis coaches available. So, from here, how do you go about finding the right tennis coach for you? To really get the most out of tennis, it makes all the difference having a coach who matches what you’re looking for. To help narrow down your search for tennis coaches in Singapore, keep some of these points in mind. Look out for qualifications to see what kind of accreditation and experience the tennis coach has. Most tennis coaches are registered with the Singapore Tennis Association (STA). For tennis lessons for children, make sure the coach has a clear criminal check and is safe to work with children. Get to know the coach and their personality. Having a meet and greet with the potential coach will help you to know if they suit your personality, your skills, and the way you want to learn tennis. There is nothing worse than having a coach who you don’t get along with on a personal level. It makes a big difference to have a coach who understands you as a person first, then a tennis player. 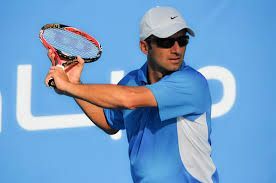 Know the results you want to help the coach deliver tailored lessons to your tennis game. Are you looking to play professional tennis? Do you want more social competitions? What you want to get out of tennis will help shape the lessons. Be aware of what experience the coach has and whether this works for you. Perhaps you want tennis lessons for your child and the coach is more experienced in adult tennis lessons and not as comfortable teaching children. In this case, look for a coach who is experienced in teaching kids. Is the coach used to teaching in group lessons or private lessons? Is the coach comfortable with both, and what do you prefer? These kind of questions are important to address with the coach before committing to tennis lessons. Make sure there is clear communication on all levels with the coach. This goes for the initial meeting, any communication over email, quick responses to questions, and a willingness to help out with any enquiries. How the coach communicates off the court will also impact how to they communicate while coaching you on the court. Previous Previous post: How Often Should a Junior Tennis Player Train?